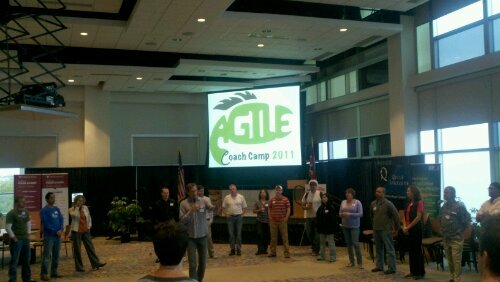 Last weekend I attended the Agile Coach Camp-USA in Columbus, Ohio, and I can’t say enough good things about this event. 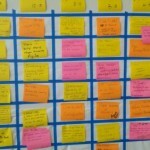 If you care about building successful Agile teams, you should definitely get to one of these camps. 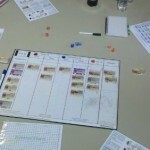 The first day was the Agile Games Day. A full slate of hands-on activities were planned to simulate many different aspects of a coach’s role. I participated in the Get Kanban game, Kanban Pizza, 99 Test Balloons and Marshmallow Challenge. 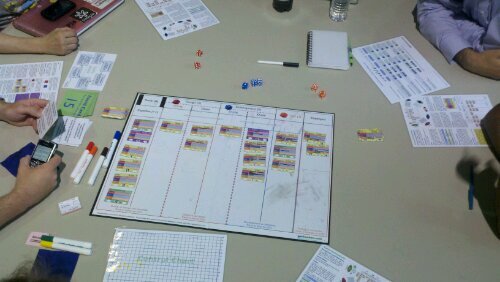 Each of these games were very good simulations of different Agile concepts. One thing that jumped out at me during these games is Agile coaches aren’t always very good at taking Agile approaches with relatively simple tasks, myself included. Each time I noticed teams making the same mistakes. In the Get Kanban Game, none of the teams prioritized a very high value story correctly. In the first round of the Kanban Pizza game, both teams created way too much work-in-progress by significantly over-producing slices of pizza which were not completed. In 99 Test Balloons, none of the participants asked for adequate acceptance criteria at the beginning. In the Marshmallow Challenge, both teams began by attempting grossly over-engineered solutions, rather than starting with the simplest thing that could provide immediate business value and then building upon that. What was interesting was when I stepped away from my team and observed what the other teams were doing, the mistakes were obvious, yet my teams were making the same mistakes and I didn’t see them. During the conference, someone suggested that these kinds of mistakes might indicate the importance of cross-functional teams and that a team consisting of only coaches may not perform well. While there is probably some truth to that, I think there is more to it. Having just come off a coaching assignment where I had a lot of developer responsibilities as well as coaching responsibilities, I saw some similarities. I had a hard time balancing the duties of my two roles and I found that when I was wearing my developer hat, I had difficulty functioning as a good coach, because I had my head too deep in details. It occurred to me that in order to be a good coach it may be necessary to avoid getting too involved in the work of the team. I don’t like this idea as I’ve always felt that being in the trenches with the team is a great asset to a coach, but I can’t deny the pattern I experienced and witnessed. In my case it might simply be a lack of coaching experience, but that doesn’t explain the behavior I observed in much more experienced coaches. Maybe there’s another explanation. Maybe people weren’t taking the games seriously enough. Maybe the games are too abstract. I’m not sure, but I think I may pursue the notion that a coach shouldn’t get too engaged in the team’s work, at least in my case. 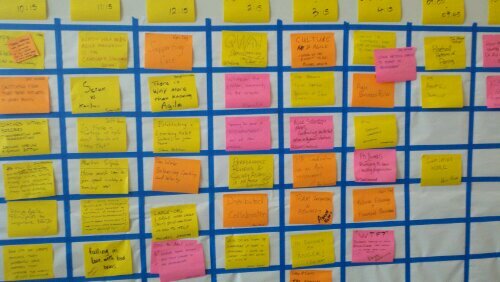 The following two days of the event were an Open Space format. There were a lot of very interesting topics proposed and I had a hard time choosing which topics to participate in. I can honestly say that I got a lot out of every conversation I went to. The topics included estimation techniques, recruiting strategies, coaching skills, distributed teams, and selling Agile. One topic that I regret not choosing was Influence Map by Siraj Sirajuddin. I’m really not sure what exactly went on in that session, but it certainly seemed to have had a profound impact on those that participated. I will certainly not miss the opportunity should it present itself again. This was a great event and I’m glad I decided to attend. I don’t think I’ve ever been surrounded by so many thoughtful and generous people. I learned a lot, met some fantastic people, and regained enthusiasm for coaching, which had waned after a recent disappointing coaching assignment. I hope to make the next event in Minneapolis.